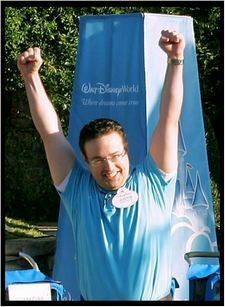 Well it’s official, Justin Muchoney won the Walt Disney World Dream CMO Job Contest! Congratulations to him and a BIG thanks to all MusTech.Net! readers for helping to vote him into “office”. Back in early April, I put out the word about him and his “dream job” in a post titled :Let’s Help Make A Musician And Music Educator The Chief Magic Official Of Disney World, to help him in his campaign. Now Justin and all of us who voted were/are part of Disney History! Justin and I both attened Grove City College and were both in the same housing group –Alpha Sigma (A music/arts honorary/ housing group) for our undergraduate work in music education (He graduated about 6 years after me). It’s great to see this happen for him. Here’s hoping for you to have a “magical day”!